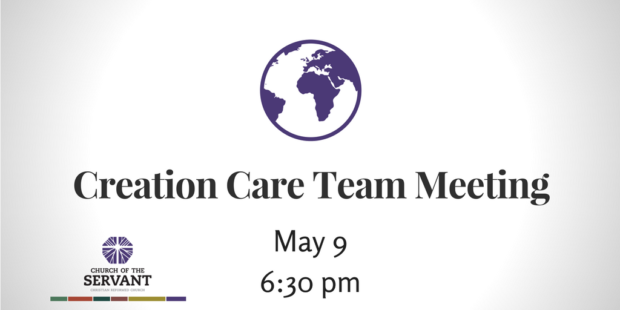 The COS Creation Care Team (CCT) is meeting this Wednesday, 5/9 at 6:30. CCT seeks to protect and restore Creation and mitigate the worst impacts of climate change through Worship, Education, Energy Stewardship, and Advocacy. If you are already a member of the team, please plan to come. If you are interested in checking us out, you are most welcome! A special invitation to high school and college-age folks: Your voice and hands are needed, please join us!